I wish I had seen this thread earlier, Mint 17.x (Ubuntu 14.04) never had any Vulkan support, not even natively (outside of Wine). 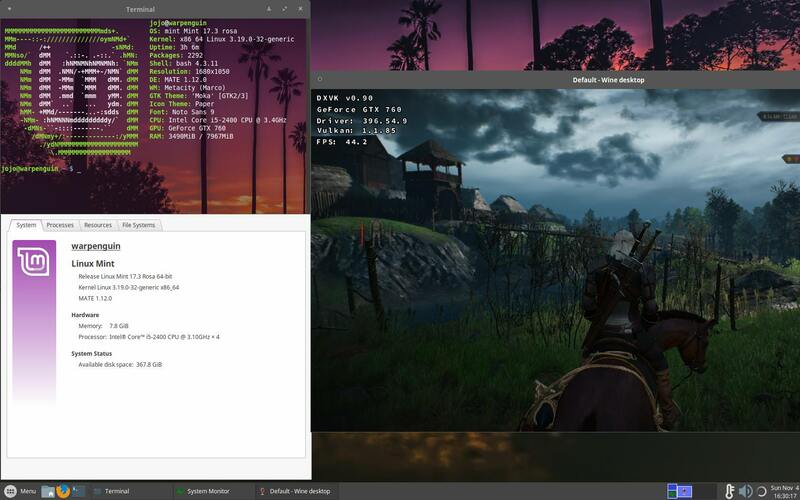 Old as the distro may be, it is however possible to provide Vulkan support by installing the Ubuntu 16.04 'libvulkan1' package and build Wine with it. Upgrading was still the best choice, sooner or later you might arrive at another wall.